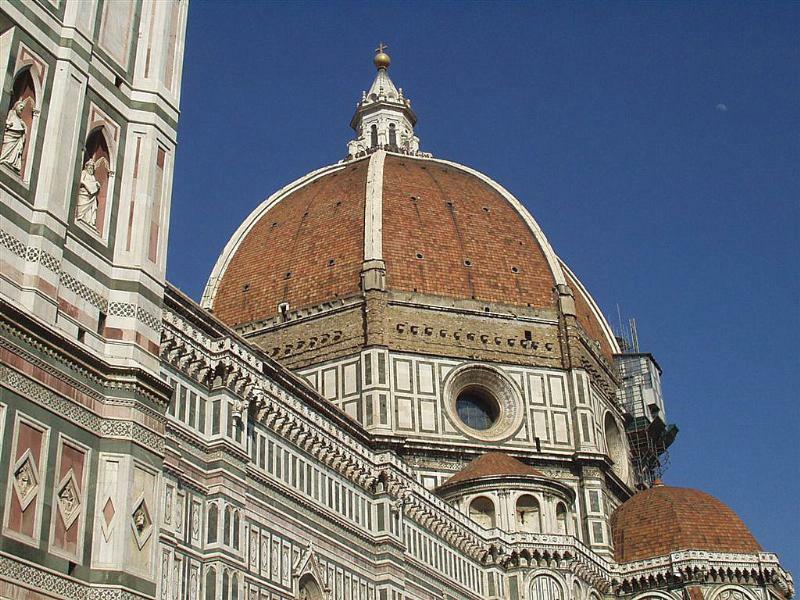 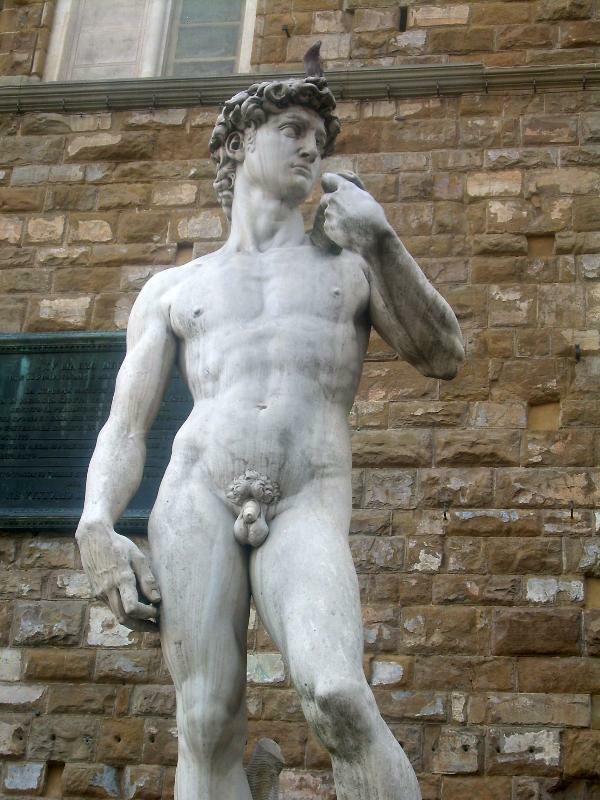 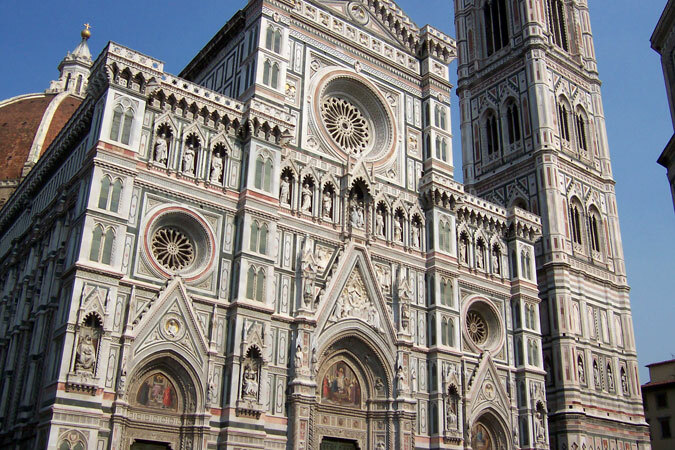 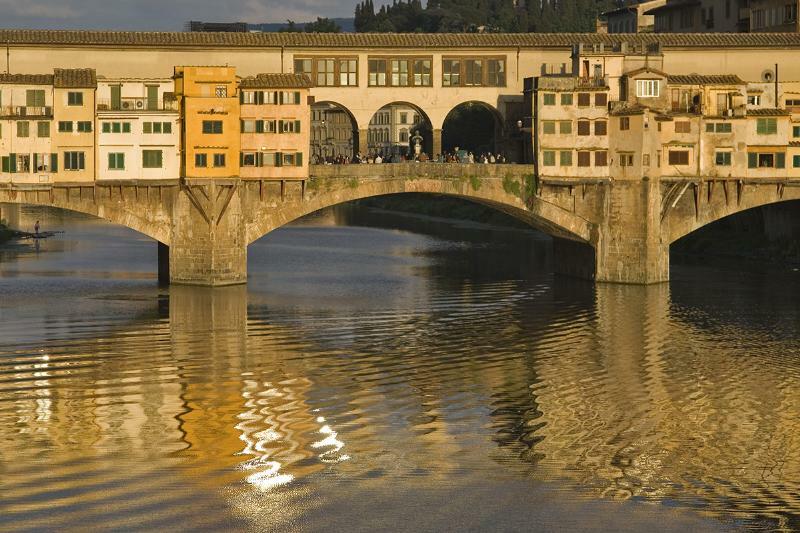 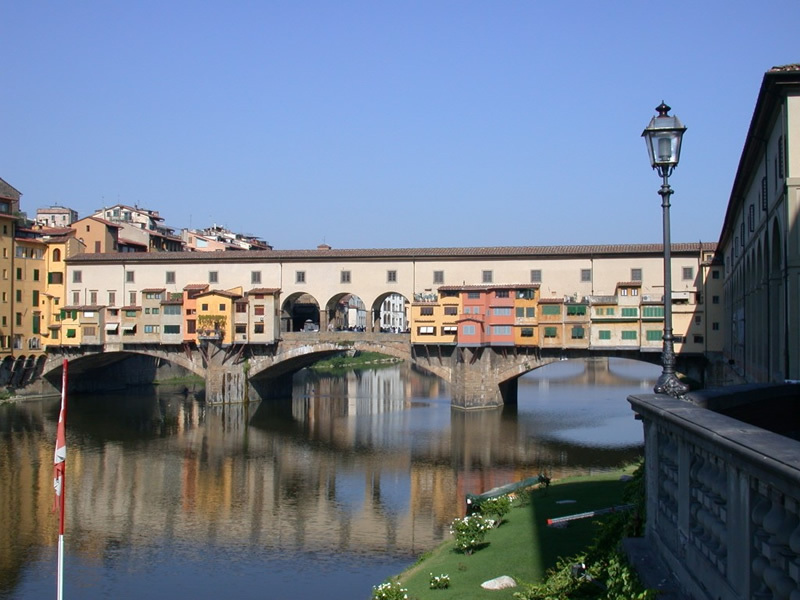 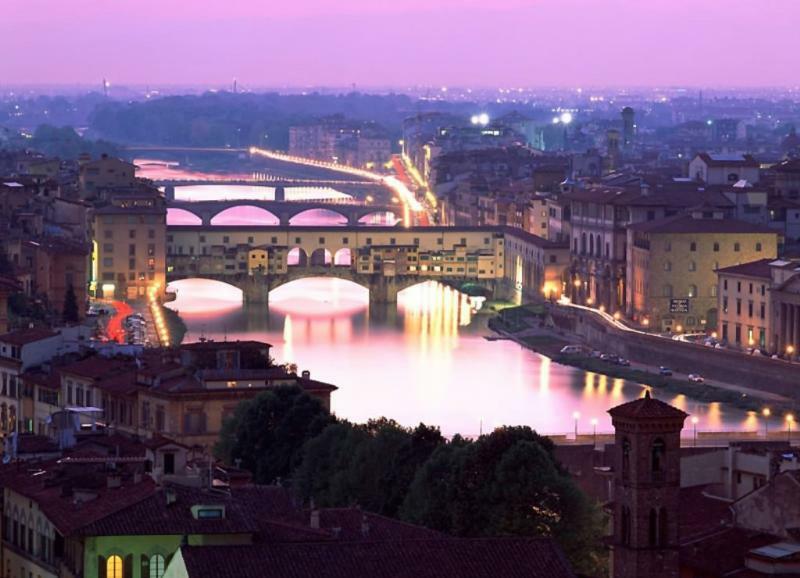 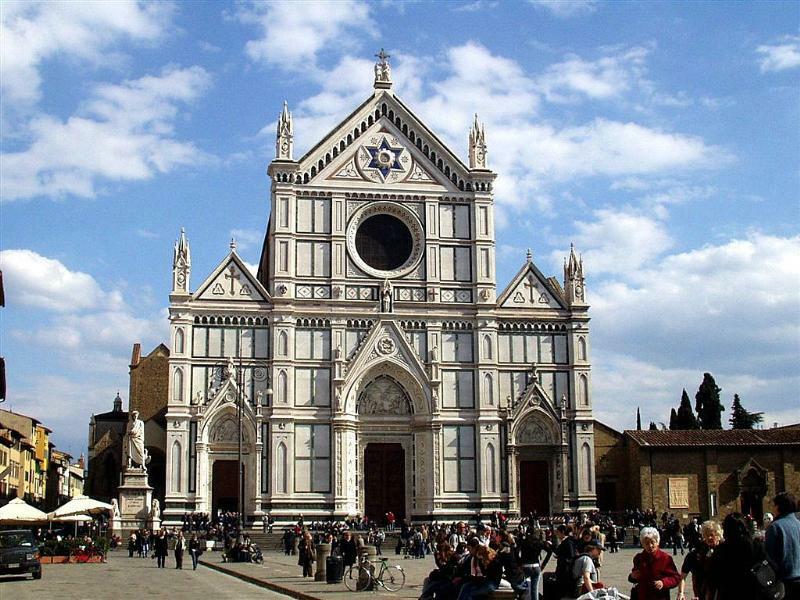 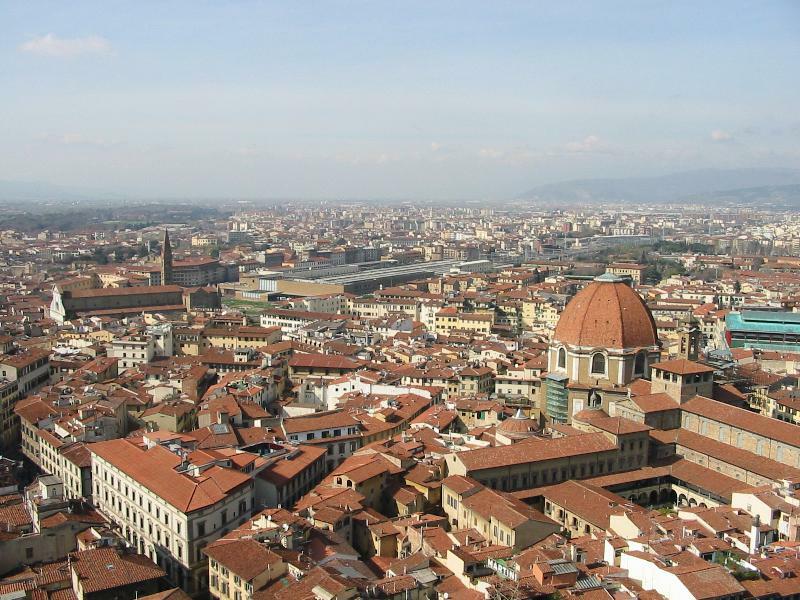 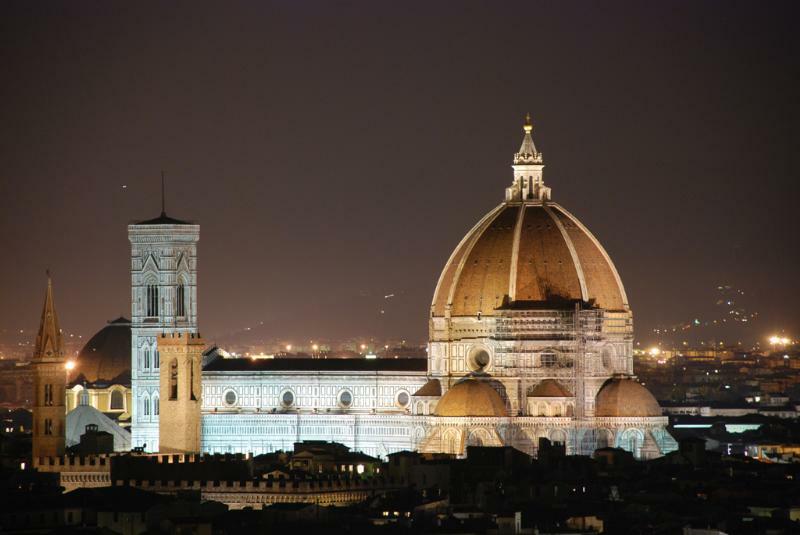 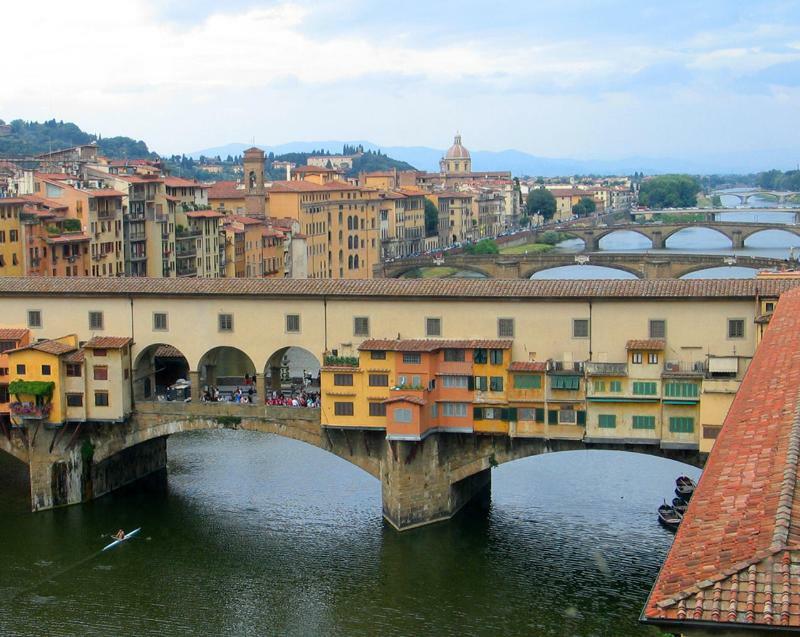 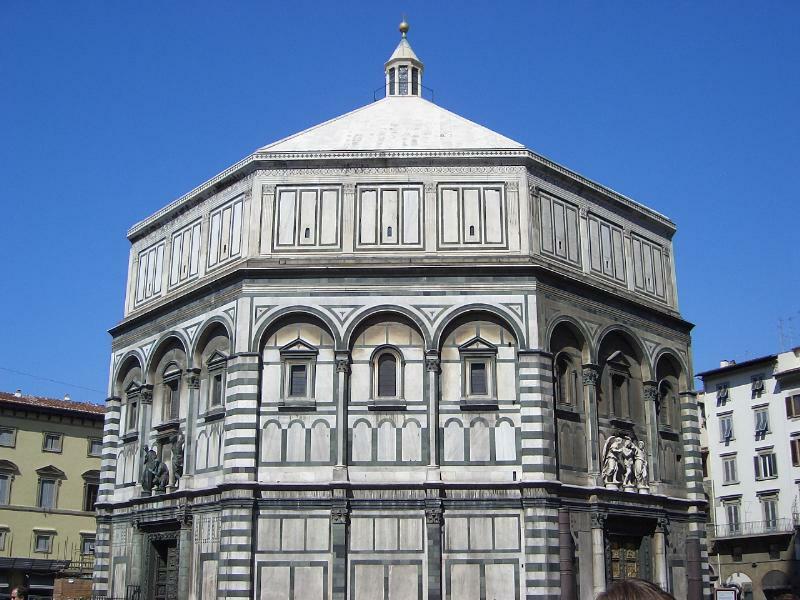 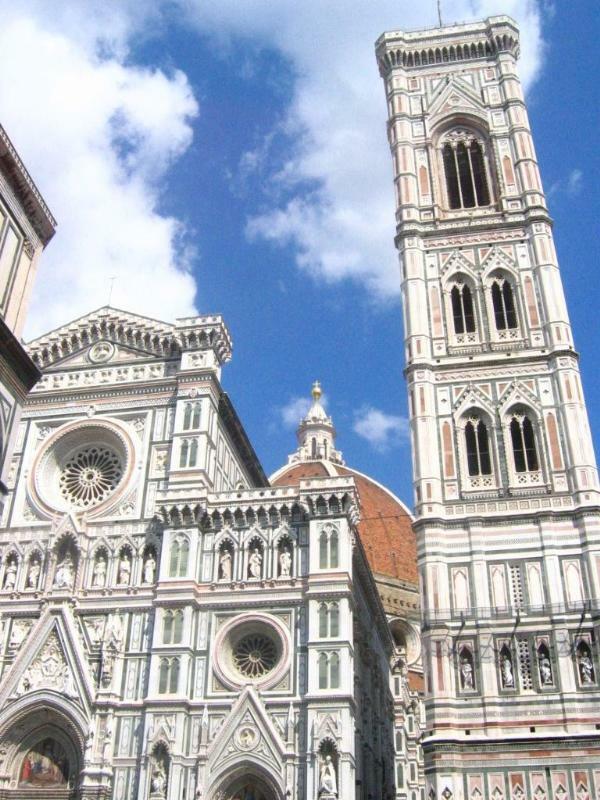 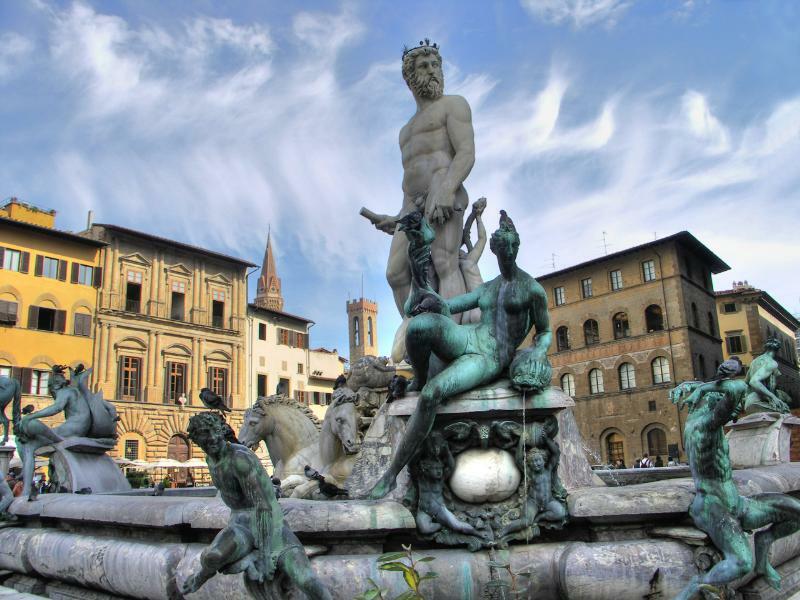 Florence stands in a pleasant valley surrounded by hills and crossed by the river Arno. 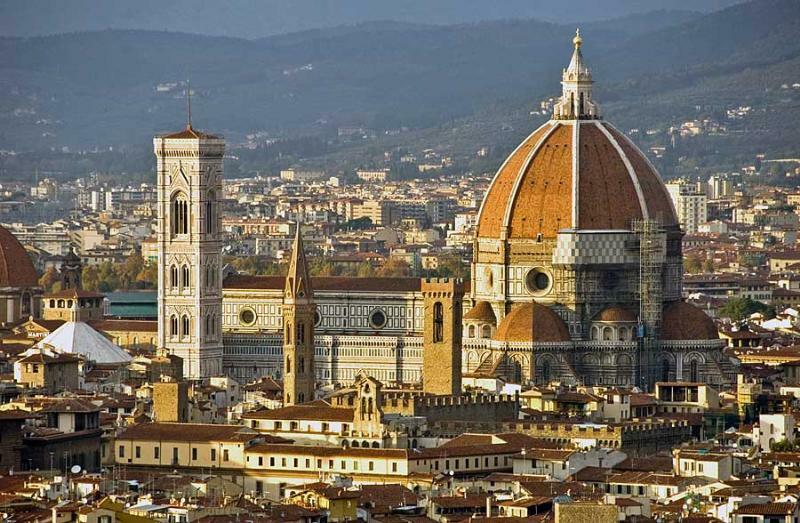 This city is rich in monuments, historical buildings, galleries and museums, expressing all its magnificence of its ancient civilization. 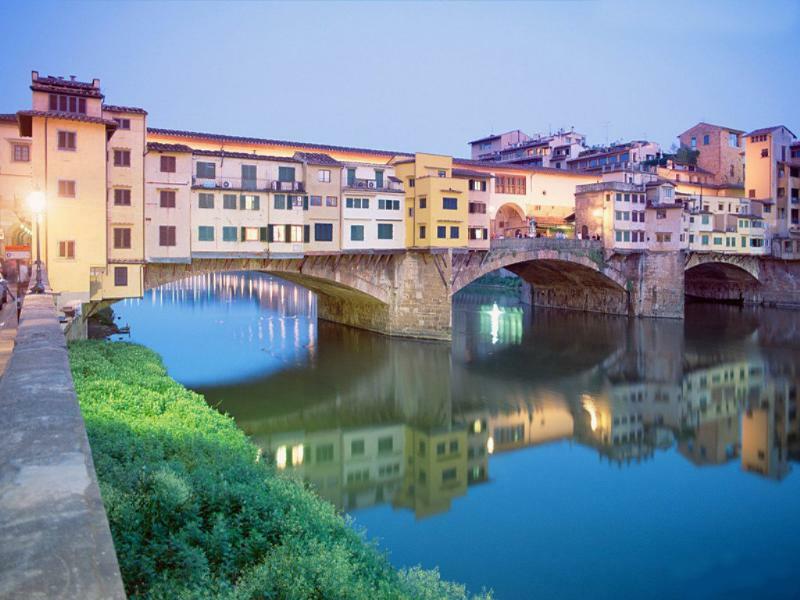 Its world famous promenade along its monuments up to the wonderful Ponte Vecchio (Old Bridge) is lined with characteristic goldsmith's shops. 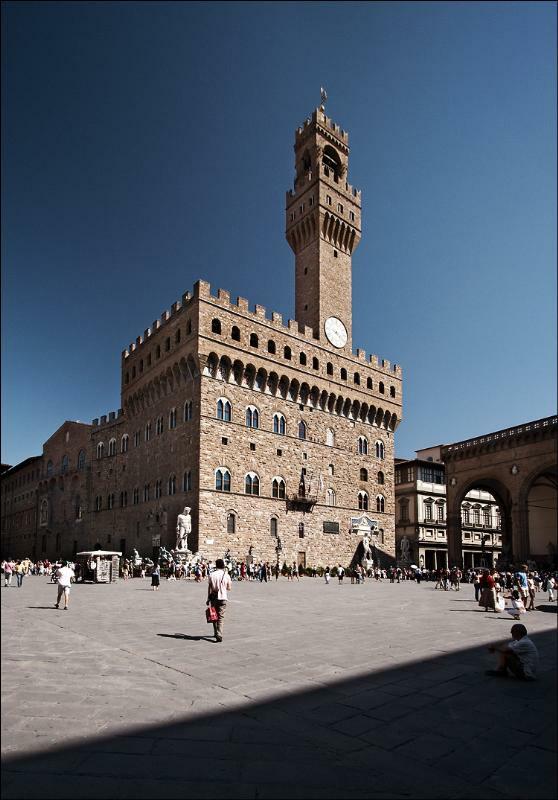 Many are the monuments and the masterpieces to visit, such as Giotto's Tower begun by Giotto in 1334, the Pitti Palace begun from an original design by Brunelleschi in the second half of 1400, the courtyard of Ammannati, Buonarroti house which has some paintings of Michelangelo, Forte di Belvedere that dates from the end of 1500. 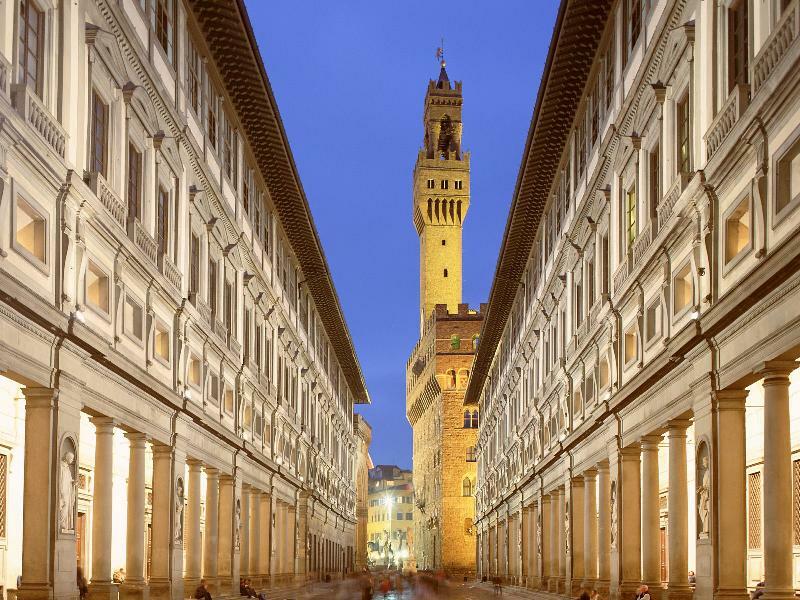 The Uffizi Palace begun by Vasari in 1560, Loggia della Signoria begun in1376 from an original design by Arcagno and Palazzo Vecchio built between 1293 and 1314.